"Simple clean and new rooms"
"The staff service is fair." "We were happy as the location was fantastic." "Entertaining from the central festival, Amazing location great value very clean"
"Best place to stay with a bunch of friends looking for a few..."
Whether you're a tourist or traveling on business, COSI Samui Chaweng Beach is a great choice for accommodation when visiting Samui. From here, guests can make the most of all that the lively city has to offer. With its convenient location, the property offers easy access to the city's must-see destinations. Take advantage of a wealth of unrivaled services and amenities at this Samui property. 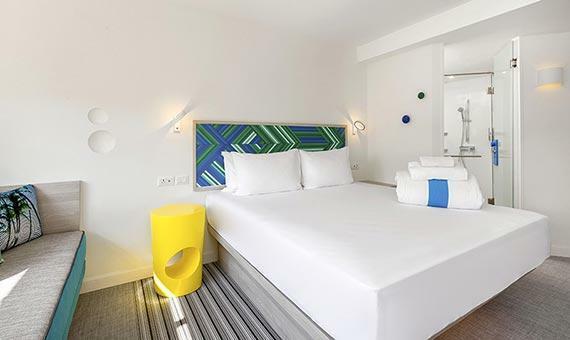 A selection of top-class facilities such as free Wi-Fi in all rooms, daily housekeeping, 24-hour front desk, express check-in/check-out, Wi-Fi in public areas can be enjoyed here. 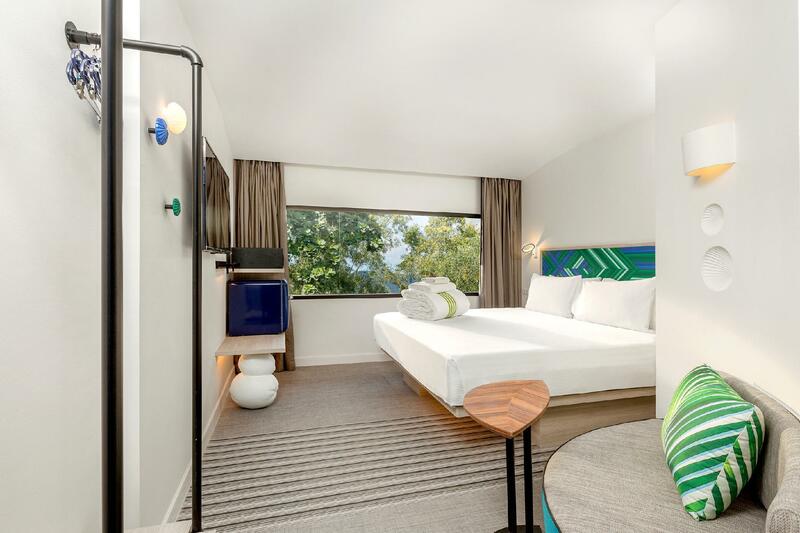 Step into one of 150 inviting rooms and escape the stresses of the day, A selection of amenities can be found in most rooms, inlcuding towels, internet access – wireless (complimentary), air conditioning, telephone, television. The property's host of recreational offerings ensures you have plenty to do during your stay. COSI Samui Chaweng Beach is an ideal place of stay for travelers seeking charm, comfort, and convenience in Samui. "It was my second time at COSI Samui and i really like the wh..."
We stayed here and loved it. Clean modern and comfortable. Breakfast coupon for 100 TBH which is nice and food is good. Only downside is it’s a walk to the beach and no seating by the pool to tan. Additionally, small issue with shower as when showering the water would turn from dangerously hot to cold without control. However, great value for money and amazing property! The hotel was located in a complex of shops (like a mall) next to the main road, crossing Chaweng beach. We checked in with a 20-25 minutes delay, because the receptionists couldn't find our booking, which we made through internet. The room we got looked like a ship's cabin room, although our room and generally the hotel was very clean. The worst thing was, that our room was located on the ground floor and all the time somebody was passing by, shouting, running, screaming etc. younsters were yelling to each other during the night next to our door...! Which personally I think is unacceptable for a hotel. So, this is not a place I would recommend to someone, even if you'ld stay just for one night like we did. Great location with many restaurants located around. Walkable distance to Chaweng beach. Love the simple and modern design of the room, and the breakfast options as well. Great service by the staff. Highly recommended and will come back again! We were very happy with our stay. This is located in central festival in a shopping centre and market area. It is walking distance to the beach, but it’s important to know that you are in a shopping mall. That way you know what to expect. The reception has a trendy cafe vibe. The staff was very friendly and helpful. We request a quiet room and although we had a louder neighbour some evenings—I think being on a higher floor did help mitigate noise. You could here the bass when it was time to go to bed from a nearby bar. I came prepared with earplugs so it was no bother. The room was not massive, but space was well utilized throughout. Certainly value for what was paid for. For my opinion- it’s the best hotel in Koh Samui. Staff were very nice. Location super central. The vouchers’s idea was very nice. Liked to chill on the pool-floor. Recommend to ask a room on a high floor because the hotel stands in a shopping mall and the lowest rooms are close to the parking plot. Everything was great and for sure will be back to COSI again on my next travel. Nice location right behind the shopping center. Not far from shopping, food, markets and the beach.The 200 baht voucher for breakfast is a nice bonus. Cosi Crew is incredibly nice and helpful. highly recommended. Brilliant Hotel! Great location! They even UK plug sockets along with 2 USB sockets. I loved my stay there that much I extended it. Would definitely come back . My only gripe, and if that's only I can complain about then this hotel is doing something right is the temperature of the showers are so temperamental, gives you a nice shock when you have bad sunburn :). Thank you Cosi you made my stay so much more enjoyable on the island, even if the weather was so bad. This new hotel is situated right next/inside the shopping centre in Chaweng. If you like the area of chaweng it’s definitely a nice place to stay. 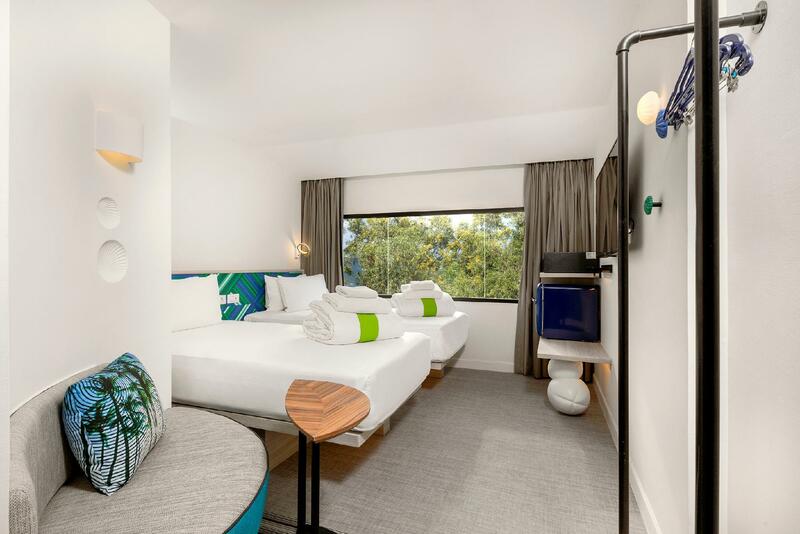 The rooms are very new and have everything you need. There was just a bit of a damp/moist smell in our room. Plenty of places to eat and shopping 100m from the hotel lobby. The walk from hotel lobby to hotel room is a long one. If you can book a room in the lobby building (Building 1) it wouldn't be an issue. Breakfast vouchers are not sufficient for a filling breakfast but the breakfast items are satisfactory. Room was immaculate although a little small. Amazing new place in the center of every where.quite,clean and most important amazing stuff(Tui,Jay...)You get 100 baht coupon/day for breakfast. No hot water machine in room.you can't open window .there is a pool,washing and dryer machine(100 baht for both). Very good hotel I recommend and come again.. If you are tired of staying at the beachside resort and wanted a hotel which is close to Chaweng Beach downtown, I would highly recommended to stay at the Cosi. The hotel is newly open so the facility is still new but don’t expect too much for the in-room amenities. Actually there weren’t any in-room amenities pre-set in room so you need to bring your own, but the upside is the hotel location is right behind Central Festival and plenty of restaurants and spas to choose from. Very friendly and clean. Be aware that it's inside a shopping mall, the first room we had was literally inside the parking lot of the mall. When we asked another room on higher floor the team was super nice and changed our room. I enjoyed my stay at Cosi. The décor was trendy and cute. The staff were friendly and helpful. The breakfast coupons were a nice perk: 200 baht per day, which for me worked out to a cappuccino you make yourself by pushing a button, a chocolate or almond croissant, and a small bottle of water. The pool looked nice. Another nice feature was a laundry room with two washers and two dryers: nice to have in a place where you might sweat through a couple of changes of clothes per day due to the heat. Great location - close to the beach and the shopping centre is excellent, just far enough away from main bars/nightlife so not noisy at night. Room was comfortable with excellent wifi and usb ports for charging. Complimentary breakfast coupons were an added bonus, would definately stay again! Good points: close to the beach, CentralFestival shopping and food court and the nightlife, decent pool, cool and trendy layout, free entertainment (such as live painting) and free breakfast coupons worth 400 baht (for two people). Not so good points: food and drinks a bit pricey without coupons, limited food options and could hear noise from the pool (late into the p.m. one evening) in our room. We would definitely stay again! I am glad i chose Cosi for a few first nights in Samui. The location is a dream right next to big shopping Mall and main street where you just step out to the left and everything are there:foods/bars/shops/massages/entertainment...you name it.. Also Cosi is not too far from the tourist spots like Big Buddha Temple/Wat Plai Laem/the Jungle Club.. Overall Pro: location/very nice staffs/price are totally affordable/nice clean room.. Con: I stayed on floor 1 (downstairs from the reception) and i can hear the live music from the night market quite clear,like you have a neighbor singing karaoke upstairs till midnight.So if you are not a person with noise please ask for room on top or so. Also my bathroom have a bit of sewer smell came out once a while even though its very new and clean. There are no telephone in the room so if you need anything you can’t just call from your room. 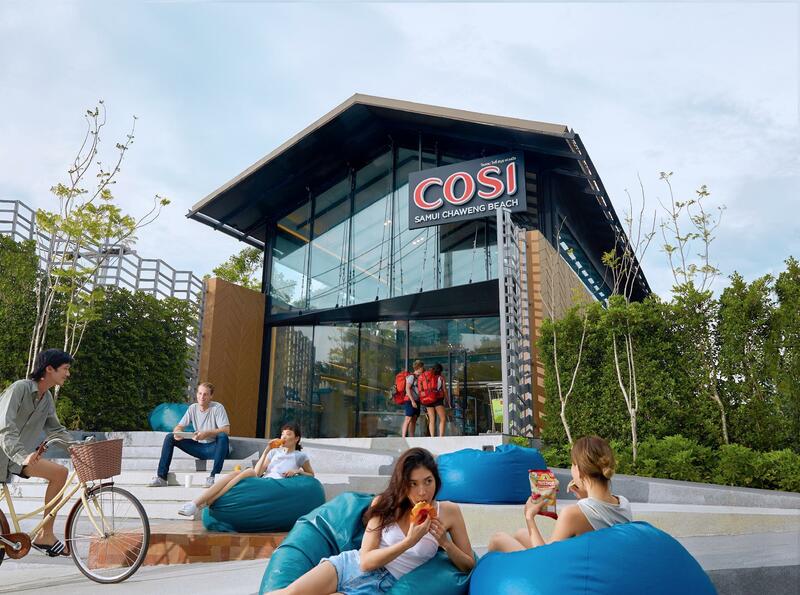 But overall I highly recommend Cosi for your first Samui trip if you like to be at the center of everything with affordable pricing and a cosi clean room (sewer smell need to go) and very Nice Staffs. Thanks Cosi.